There are many ideas about how to save time and be more efficient. Some aren’t that great, like abbreviating all of your words and sentences. But others are quite helpful, like using Remote Desktop Manager to store your passwords, and adding both Auto-Login and Devolutions Web Login. For those of you unfamiliar with Devolutions Web Login, it’s our browser extension that not only helps you keep track of your passwords, but also automatically logs you into every website. 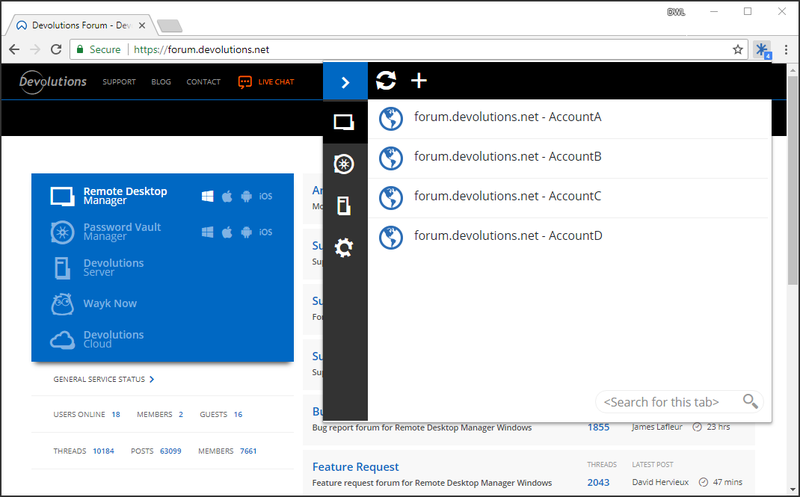 And with Devolutions Web Login 6, logging in is now easier than ever. As Kevin from The Office might say: me think save time no enter password. You can now choose whether to store the new credential in your private vault or the public vault. If you store your personal credentials in your private vault, you can easily keep them away from your coworkers’ view. Because let’s not forget that Devolutions Server, our highly-secured vault for password management, offers 10 types of personal entries. You also have the option to select which app you want to save your credentials to: Remote Desktop Manager, Devolutions Server or Password Vault Manager. Also, if you wish to change your Devolutions Web Login client from Remote Desktop Manager to Devolutions Server, you’ll find the steps for making the change here. Devolutions Web Login 6 is available for Firefox, Chrome and Opera — If you don't use Devolutions Web Login already, you can download it here. We’re working on versions for Edge and Safari. Stay tuned, they’re coming soon. 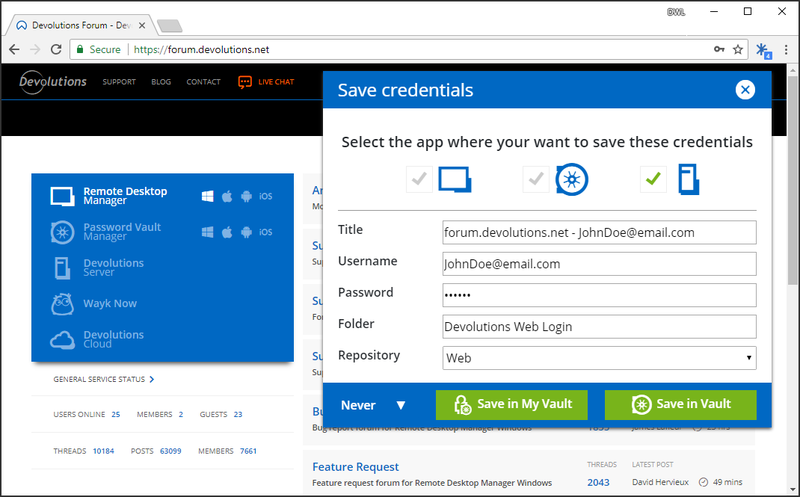 Please share your feedback on Devolutions Web Login 6, including suggestions on what you’d like us to add in version 7. We’re always listening!